Crews from Monroe, Middletown and Franklin and Deerfield, Turtlecreek and Liberty townships were called to Deceuninck North America, 351 New Garver Road, just before 2 p.m. for a piece of equipment on fire. MONROE — One of the three Monroe firefighters injured in a fire at a manufacturing business on New Garver Road remained hospitalized Wednesday night with second degree burns. Fire Chief John Centers said the firefighter suffered burns to his face, head, neck and hands and has been admitted to the burn unit at Miami Valley Hospital. The two other firefighters, who suffered hearing loss and headaches from the blast at Deceuninck North America, were released from Atrium Medical Center Wednesday evening. Centers said he could not release any names yet because not all of the family members have been notified. The cause of the fire was not known Wednesday night, Centers said. A damage estimate was also not known, he said. Centers said it’s expected the state’s fire marshal and the Occupational Safety and Health Administration will also investigate. 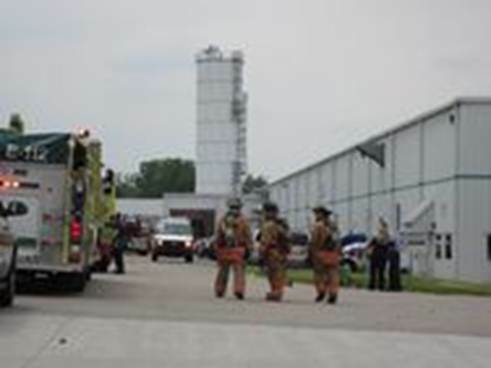 Crews were called at 1:51 p.m. Wednesday for a fire inside a 5,000-gallon tank that contained dried wood composite material at Deceuninck North America, 351 New Garver Road. The company produces windows and door systems, and decking and railings. 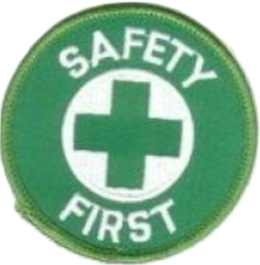 While attempting to extinguish the fire, Centers said “there was a dust explosion” that caused the three injuries. He said firefighters were attempting to remove the material, which was through a 2-1/2-inch pipe at the bottom of the tank. “Dust that was created while they were pulling the dry material out found an ignition source and ignited,” he said. The explosion didn’t cause any obvious structural damage, Centers said, but did displace a tank. The fire took about three hours to extinguish and six other fire departments responded with mutual aid.